Τhe Kikko Max is a taller version of the well-known Kikko from Necta. Kikko Max is 1830 mm in height and designed to be banked next to Snakky Max machine. 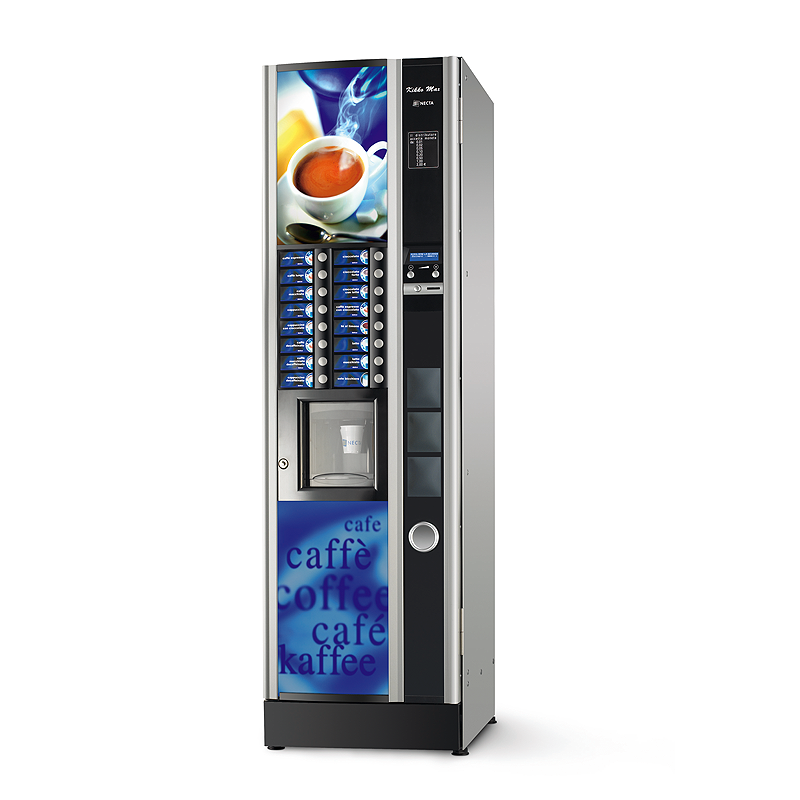 Besides adaptation of the height, the selection and payment area has also been updated, and the capacity is increased to 620 cups. The Kikko and Snakky Max solutions are conceived for medium sized locations, but can also be placed in many other environments. VersionsEspresso – InstantCup Capacity620Stirrer Capacity550No. of canisters6 or 7User interfaceDirect selectionsPushbuttons16Pre-selectionGradualDelivery areaClosed cup room – Cup sensor – Jug facilityCommunication protocolExecutive – MDB or BDVCooling unitOptional still cooling unitHeight1830 mm(adjustable feet + 10 / -10 mm)Width540 mmDepth660 mmDepth with door open1120 mmWeight126 Kg Approx.